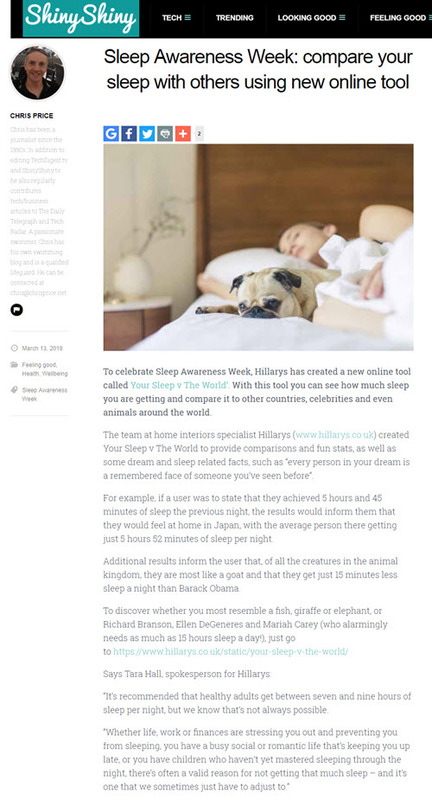 Just in time for Sleep Awareness Week, our interiors specialist client - Hillarys Blinds - have just launched an online tool that allows you and I to compare our sleep to other countries around the world, various celebrities and also various creatures from the animal kingdom. Your Sleep V The World only requires you to enter how many hours of sleep you got last night and it does the rest for you. It's so far generated coverage on Parent Talk, the Lancashire Telegraph, ShinyShiny and many other sites - with all journalists loving the results that they're getting. 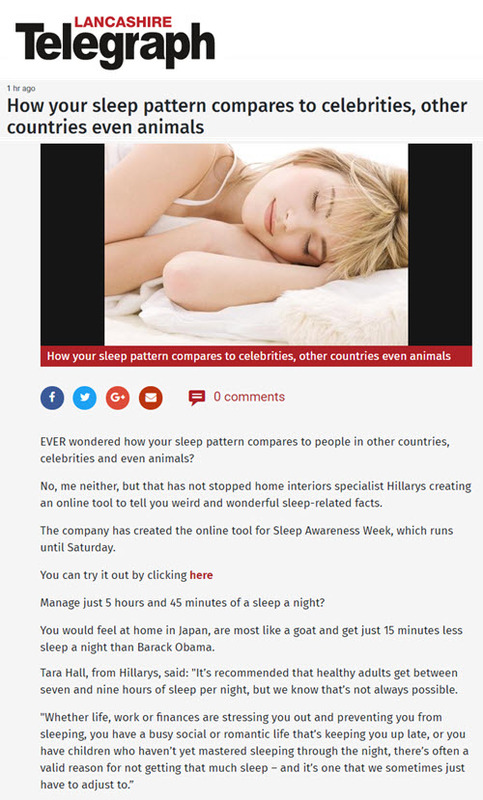 As an aside, did you know that at one point Mariah Carey was aiming to get as many as 15 hours of sleep per night?! Whilst the majority of us over here are struggling to get a decent 6 to 8 hours, she's only awake for a little more than that each day. It's alright for some, eh? She must be a cat in her animal comparison. Or a sloth.